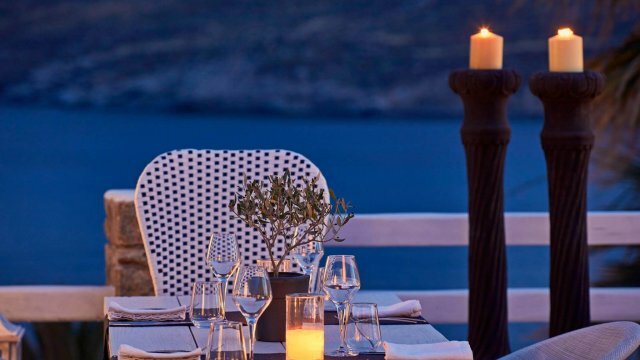 Kiki’s Tavern is an amazing little, traditional restaurant on a small hill hidden behind Agios Sostis church in front of a tiny yet beautiful beach. The number of the people visiting this place every year is unbelievable since almost each hour of the day that it is open there is a queue of persons that patiently waiting to sit and enjoy the excellent food served. 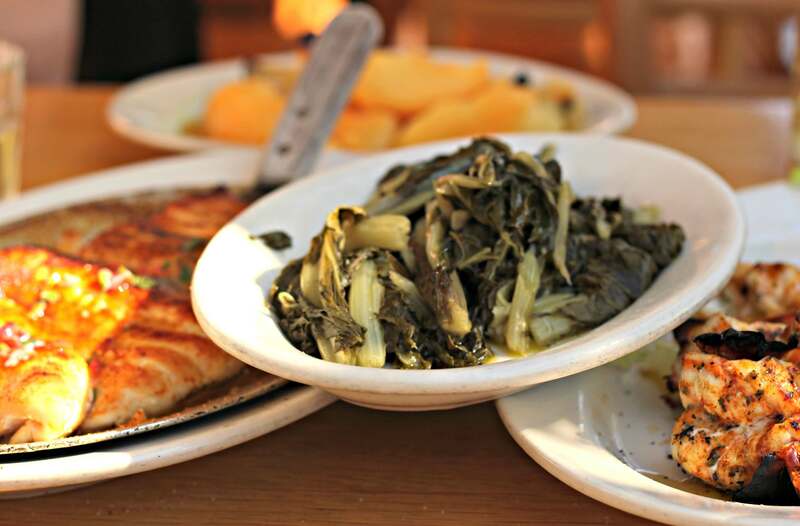 Fresh seafood and vegetables from Mykonos land, delicious recipes that remind us of our childhood and incredible smells coming out of the kitchen every minute and the charcoal barbecue that is outside. 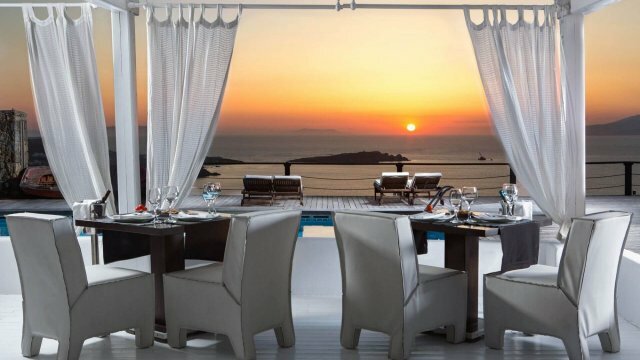 A few tables on the shady terrace that overlook the sea from above and tree branches hanging around declaring the marvelous location in nature. The extra friendly, smiley staff is ready to suggest you the best of Kiki’s Tavern and the high quality of the products, as well as the all in all, value for money experience will pay you off for the long hour waiting to catch your table. Some years ago there wasn’t even electricity available but now due to the high demand for internet connection, there is. All the guests leave the restaurant with nothing less than the best opinion for a place that is renowned worldwide and it’s a must visit if you would like to taste dishes like nowhere else. A well-hidden secret was kept for years between a few and was only to be found accidentally or by someone’s indication. Fortunately not any longer! 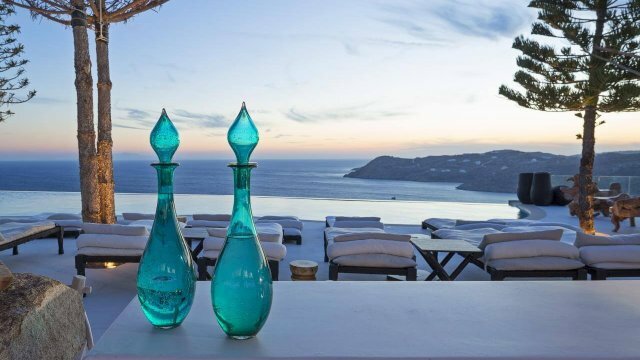 The colors and the materials outside are similar to the front yards of almost every country house in Greece and in such places, the Greeks have the best memories from Sunday lunches to playgrounds every summer. Be part of an authentic food experience opens a new window during your trip on the island of the winds! 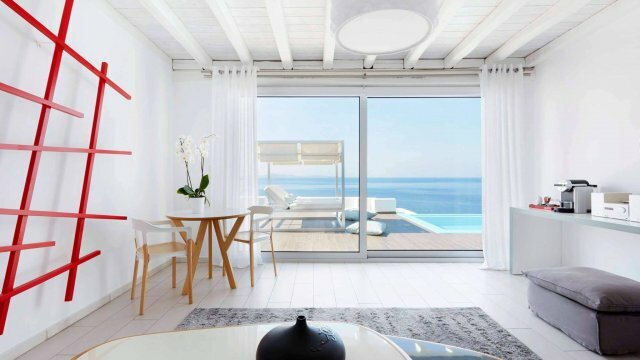 The Archipelagos hotel promises authenticity in hospitality and luxurious moments either you choose to spend some time in the wellness center with special treatments or to enjoy your lunch or dinner to the restaurant next to a magical view. 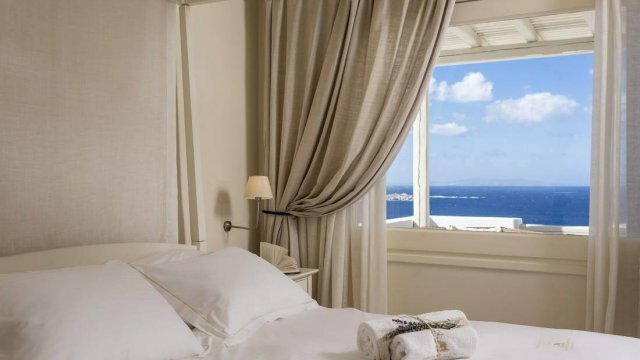 Kouros Hotel & Suites is an elegant and stylish hotel located near Mykonos Chora and at a short distance from the airport and all the beautiful beaches around the island. 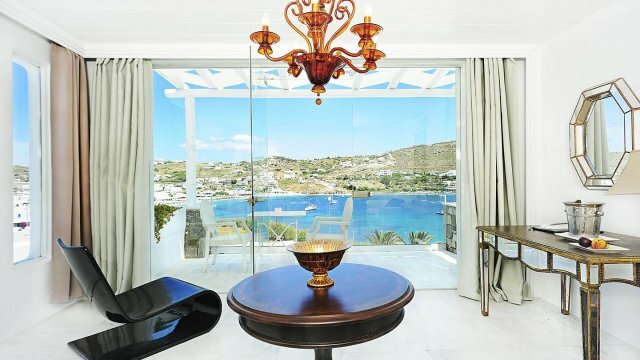 Tharroe of Mykonos is a totally unique hotel in the island with long history in hospitality and good services that always offer the best of the best to its guests at all levels of elegance and professionalism.